Toddler Approved! 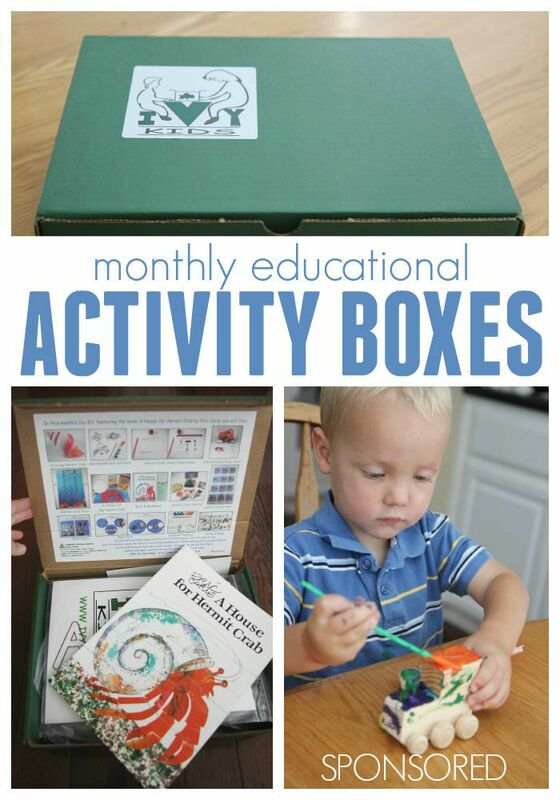 : Monthly Activity Boxes from Ivy Kids! As many of you know I am IN LOVE with children's book inspired activities and crafts and we share them as part of our Virtual Book Club for Kids each month! 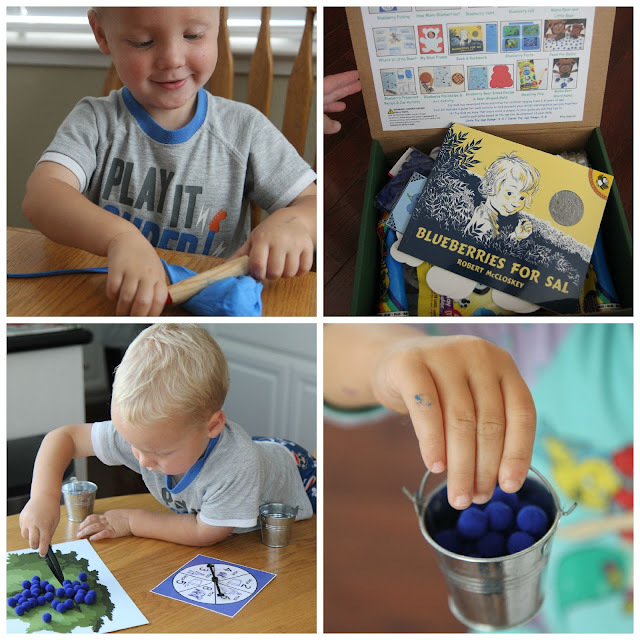 Imagine my excitement when I discovered Ivy Kids, a monthly educational subscription box for kids ages 3-8 that is filled with children's book inspired activities!!! A few weeks ago Ivy Kids sent us three of their curated boxes to try out and we have been having a blast with them ever since! Today I am excited to share a bit more about Ivy Kids with you and tell you a little bit about the boxes. I also have some special promotions for you if you are interested in trying one out... so make sure to scroll down. Ivy Kids is a company created by a mom of three, Taseea Cruz, who is also a certified early childhood teacher! 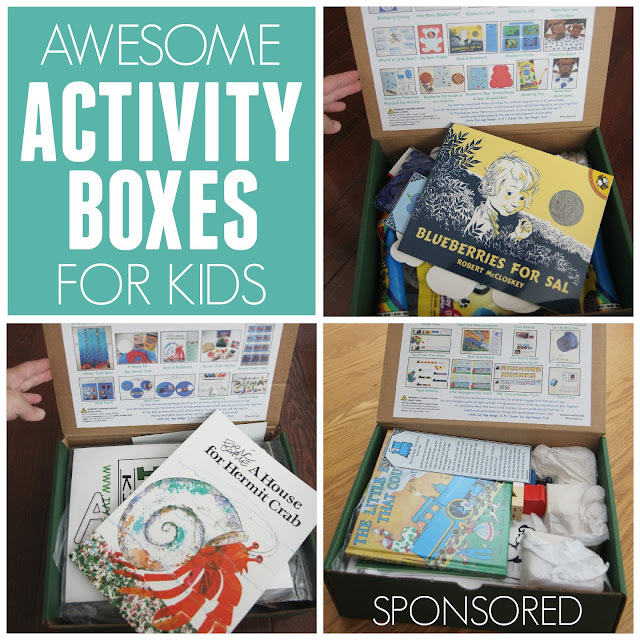 All of the activities included in the boxes are tried out with her kids before they are sent to you! Ivy Kids has won two Parents' Choice Silver Honor awards for best toys of 2014 and has been given glowing reviews by Kids Activities Blog and I Can Teach My Child as well! Each monthly Ivy Kids box contains a classic children’s book, over ten fun and creative activities that are inspired by the story, and a personalized item for the child. The box provides hours of meaningful play and hands-on activities which encourage children to develop problem solving, creativity, and critical thinking. The boxes are delivered monthly and subscribers get their boxes the first week of each month. I love that you can choose a "Sibling" option when ordering and get additional crafting materials for a brother or sister. We were sent the House for Hermit Crab Kit, The Little Engine That Could Kit, and the Blueberries for Sal Kit. We did the activities from this train themed box for an entire morning and barely scratched the surface. My kids kept telling me what an awesome mom I was and how fun the box was and we just had the best time playing games together or sitting around painting. The activities were well thought out and the materials were simple to use. All three of my kids (ages 2.5, 4, and 7) could participate and had a fun time. They especially loved their personalized train whistles. While we read The Little Engine That Could we would pause and let them blow their whistles at specific spots in the story. When I opened each box I was seriously amazed at the detail that went into each one. Each activity includes instructions and all materials were seperated into different bags to make finding the activities easy. I loved how they also included an image of each activity on the inside of the box so that we could quickly glance and the kids could decide what activity they wanted to start with. 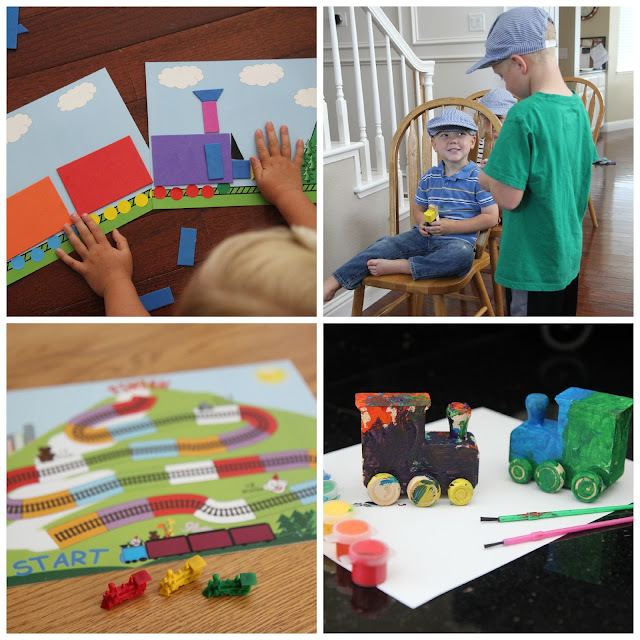 These kits would make amazing gifts for preschoolers and kids in the early elementary grades! Although the materials and activities are for kids 3+ my two-year-old also really enjoyed these activities (with adult supervision). 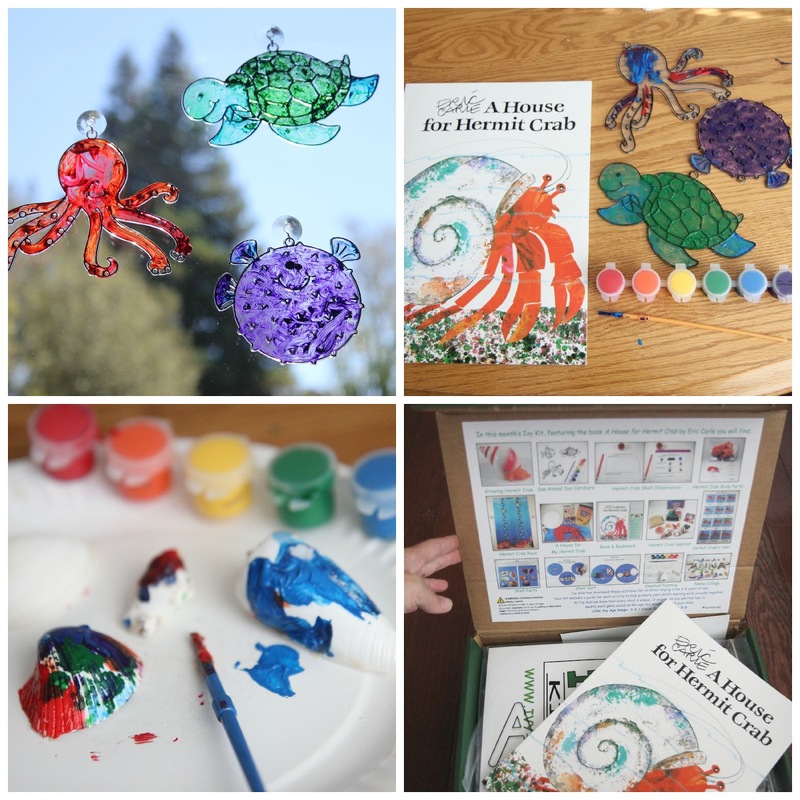 My kids painted sun catchers and shells for a long time! They also just loved looking at the shells that we got in our kit and talking about their sizes and colors. and so many more activities! Everything is included in the box and I can easily store the materials in the box when we are ready to clean up and put them away. The children's books that are featured are mostly classic children's books that should be in all homes. I love that you can collect these awesome books while also receiving such a wealth of creative activity ideas! The activities in the boxes are varied and they hit on so many concepts and skills- learning the alphabet, counting, colors, sorting, language development, fine motor skills, etc. The activities are all created by a mom who is also a teacher! Although I love to create my own activities, sometimes I just want to pull something out of the closet that is fun and educational for the kids to do that didn't require me to go to the store and pull together anything or even think. These boxes are perfect for that! The monthly price is very reasonable considering all of the materials that are included in the boxes (in addition to the children's book) and how long it would take to complete all of the activities. You could easily only do 1-2 activities per day and have enough to do for an entire month. The kits are perfect for parents that want to spend more "quality time" with their kids and also provide them with meaningful playful experiences! Ivy Kids has generously offered some coupon codes for Toddler Approved readers to use! Make sure to include the promo code when you register. New subscribers will also receive a free gift and a monthly personalized item for their child! Gift subscriptions and past kits are available for purchase in the Ivy Kids store. Use code: “IVYFREESHIP” for free shipping on any past kit in our store. Add sibling materials to any kit for only an additional $5. I was really impressed with these monthly activity boxes which is why I am taking the time to share them with you today! I would definitely recommend these for preschoolers and early elementary ages kids. Disclosure: This post is sponsored by Ivy Kids. As part of our partnership we were sent three free Ivy Kids boxes to try out. The opinions shared in this post are mine.